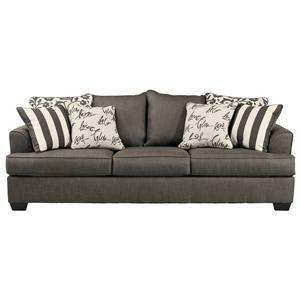 With its simple silhouette and sleek lines, this contemporary sleeper sofa will look great in any modern home. 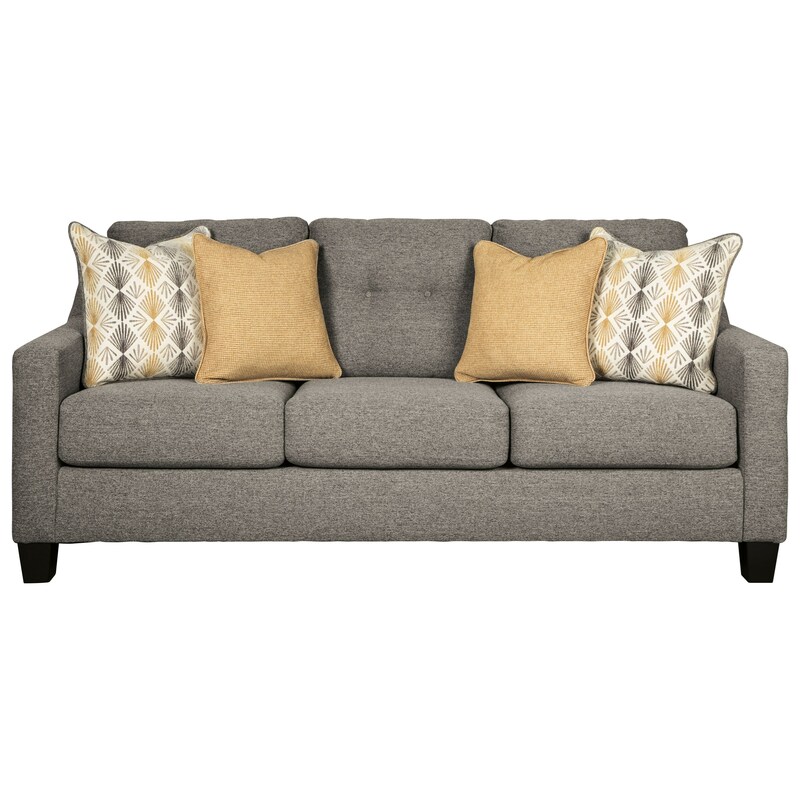 Tufted back cushions add an additional design appeal, and the included throw pillows offer a pop of color against the beautiful gray fabric. The pull-out memory foam mattress is perfect for transforming any space into a guest room to accommodate more people. The Daylon Contemporary Queen Sofa Sleeper with Tufted Back by Benchcraft at Household Furniture in the El Paso & Horizon City, TX area. Product availability may vary. Contact us for the most current availability on this product. Pull-Out Mattress Dimensions: 60" x 72" x 4.25"
The Daylon collection is a great option if you are looking for Contemporary furniture in the El Paso & Horizon City, TX area. Browse other items in the Daylon collection from Household Furniture in the El Paso & Horizon City, TX area.